Falz and Simi have been dubbed many things; best buds, undercover lovers…even soul mates. 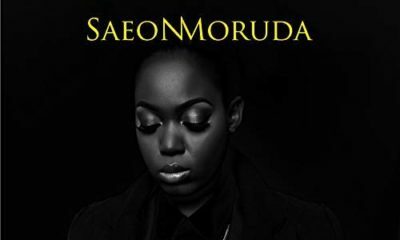 But nothing reads more apt than two talented artists who are re-positioning the art of vivid storytelling in Nigerian music and vice-versa. The duo announced a joint EP titled ‘Chemistry’ earlier in the year, but their history together predates said science project. The story of Falz and Simi is one we’re all familiar with; talented fast rising rapper meets songbird with an angelic voice. 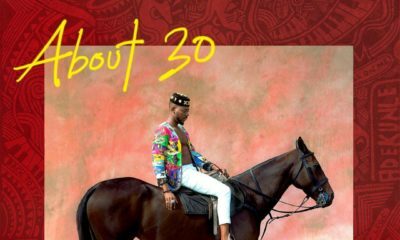 The rest of this Nigerian fairytale is played out on Simi’s ‘Jamb Question’, Falz’ ‘Soldier’ and this EP that says almost too little and nearly too much about a speculated real life relationship—or triangle with singer, Adekunle Gold— everyone but the partners-in-crime have been talking about. For Chemistry’s seven-track serving, Falz and Simi play along with the psyche of an audience deeply fascinated with the lives of its rich and famous, by releasing pre-wedding themed photo-shoot for the EP’s roll-out promotional campaign. The Chemistry love story begins here with seven pictures, each correlating with the title of every song on the EP. Opener, ‘Foreign‘ is a refreshing take on every overtly formulaic Afro-pop brag song you have ever heard. Falz and Simi trade comedic verses about hyperbolic lifestyles and undertones of sarcasm you can hear when Simi sings ‘I no too like winter/ so I travel for December’. Producer Sess’, who is credited for all seven songs, has trumpets smattered across hollow synths and mid-tempo pop soft kicks. You’re probably thinking this is not much of a love song. But thematically, if this were a Nollywood rom-com, this would be the hilarious first meeting scene where both lovers-to-be are refusing to reveal their core personas due to hurt from past relationships or deeply lodged insecurities. This assumption proves to be true as the rest of the EP unfurls with what attempts to be a realistic spotlight on the complications and uncertainties in the early stages of a relationship. Jealousy is love’s aggressive cousin, so it is unsurprising that an undeniable chemistry is not enough to save Falz and Simi from doubting each other’s faithfulness. 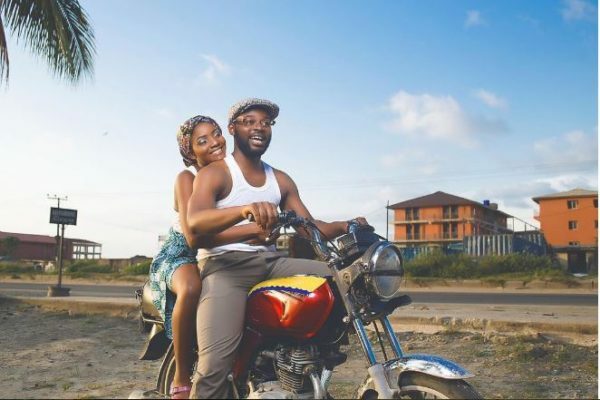 But while Simi is visibly angry and accusing Falz of infidelity on ‘Show You Pepper’, her partner maintains a slightly aggressive but hopelessly romantic stance. This yin and yang effect is one of the most discernible features of the record. Lyrically and sonically, Falz evens out Simi, staying low when his partner goes high and remaining confident when she is personal and emotive, and vice-versa. This allows both artists compliment each other, even on Afrobeat fillers, ‘Shake Your Body’ and ‘Cinderella’—two songs that would not have been missed if they’d been cut from the final tracklist. The only exceptions to this rule are two of the EP’s best recordings; ‘Chemistry‘ and ‘Enough‘ where thematic constraints force both artistes to remain on the same wavelength for the greater good. Here, both artistes sing with amorous poesy and sentiments of love against all odds, because their mutual connection is too strong to ignore. ‘Even if me and you, go be the worst couple/ If we no dey (wo) e go cause trouble’ Falz raps nonchalantly on ‘Chemistry’, just as Simi reassures ‘Even when you’re head no wan correct/ even when your pepper no dey rest/ I hope say you no go forget, baby you’re enough for me’ on ‘Enough’. These two songs—aided by Falz’ and Simi’s continued silence about their rumoured relationship — capture the essence of the EP as a project that deeply will resonate with audiences because deep down we all nurse fantasies for magical connections and unconditional love. ‘Chemistry’ is a wholly great listen for most of its parts, but if you’re looking for anything other than a collection of feel-good occasionally dramatic songs, you won’t find it. 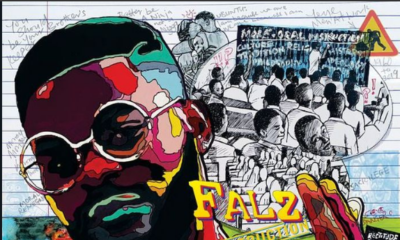 The EP’s track by track arrangement and clear choice of language is indicative of dedication and procedure during its curation, but fans who will listen to this release in hopes of getting insight into Falz’ and Simi’s personal lives will be disappointed. For starters, ‘Chemistry’ is recorded in a dark world where Adekunle Gold does not exist. Story arcs are detailed but not very honest, occasionally causing both artists to be distracted by moments instead of sticking to the plot. With the Nigerian social media constantly getting heated over issues of gender and relationships, ‘Chemistry’—a project largely born of the power of social media—could have been a medium for stronger politically relevant stories from two important perspectives, sadly, this too is absent on the record. Still, Chemistry as an album is bigger than itself. Even when the narrative falls apart at its seams, what is lacked in tangible plot or vocal presence is often made up for in melody and wit. Simi’s continued biting of Bollywood melodies and Falz’ predictable Yoruba-accented shtick may raise questions about authenticity and freshness, but for the first time in a minute, we have, ‘Chemistry’, a cohesive record where mis-strokes, no matter how obvious, don’t damage the bigger artwork. Adetoye is a content developer at the Nimble HQ and The African Music Agency. He was a staff writer and editor at Sounds.ng where he published over 500 articles on Nigerian music and pop culture. Since he discovered words, silence has never been more precious. He's had nothing to say to anyone since, he's had no need to. I could care less of they are dating or are future soulmates but one thing for sure is they create good music and comedy together. I love Simi’s neo soul vibe. US ELECTIONS 2016 BREAKING NEWS!!! are yet to get reports from Imo, Ekiti and Lagos. LMAO u people are not serious. Why are you sad that they did not delve in politically relevant stories in a project called Chemistry? And “a dark world where ‘so an so’ didn’t exist” had me scratching my head.